If I had the powers of the MAN of STEEL for one (1) week, I would use it to remove all the nuclear reactors in the world to make our planet a better and safer place to live. Would you like to win movie prizes and limited edition Superman premium items? Well, you can! All you need to do is buy any Superman-marked Schick razor packs to snag these cool treats! So what are you waiting for? 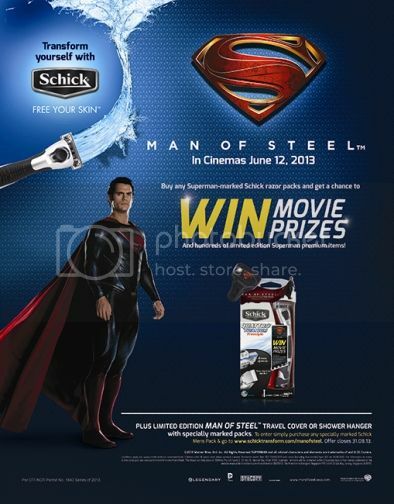 This entry was posted in Blog Contest, Man of Steel, Nuffnang, Schick Philippines, Superman. Bookmark the permalink.